A Kashmir Holiday certainly offers an unparalleled life long memory, though this area is flocked with travelers every year however it always feels untouched and unexplored, and that’s the magic of this place. 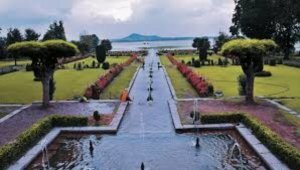 Pala holidays brings you the list of best places that you should visit during a Kashmir tour, however the list of beautiful places of tourist attraction is endless but this is a minimal list of the places that you must visit on a Kashmir holiday. 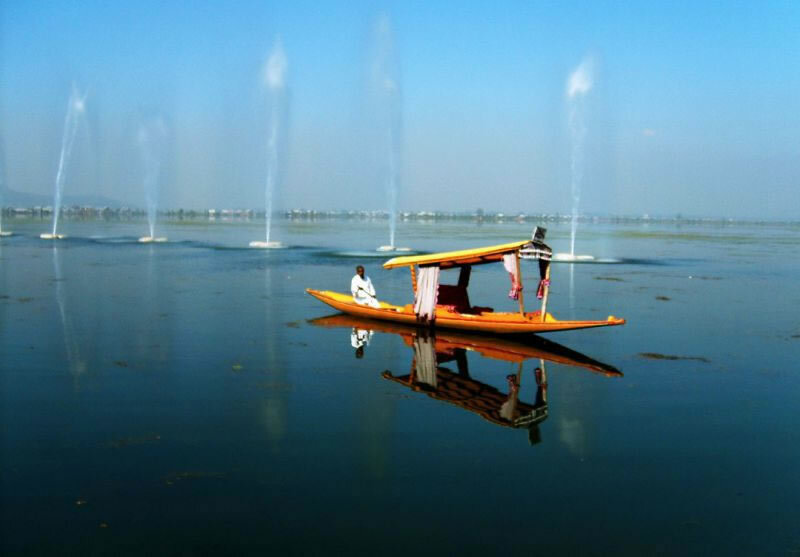 Well as we all know that Srinagar is not just another capital city of a state but one of the busiest tourist destination in Kashmir and in India as well, topping the list Srinagar offers a traveler a lifetime experience of beautiful memories which attracts its visitors time and again and people who visit it once get addicted to its magical beauty. The city of Lakes and Gardens Srinagar is full of tourism activity, Mughal Gardens, Like Nishat Bagh, Shalimar Bagh, Cheshma Sahi and other gardens Botanical Garden, Tulip Garden (The Largest in Asia), Harwan Garden, Dachigam National Park, Shikara Rides in Dal Lake, Houseboat Stays, are a few of its attraction in just close proximity of the city center. 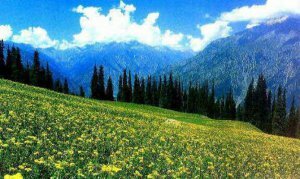 Less than 2 hours drive from Srinagar city, Gulmarg ("Meadow of Flowers") is one of the best natural Ski resort in Asia. If you're not into skiing, you may still want to let the gondola whisk you more than 13,000 feet up Mount Apharwat for outstanding views. Apparently, it's the world's highest cable car. Known for its scenic beauty, Gulmarg has also been a popular destination for shooting of various Bollywood films. 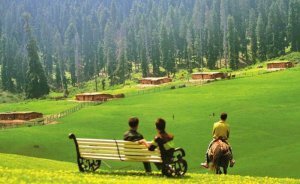 Among one of the top honeymoon locations, Gulmarg boasts of being a beautiful town without the crowd like Manali and Shimla. 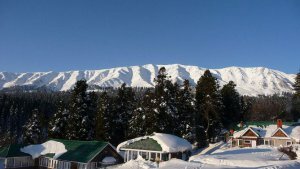 Gulmarg has also been developed as an adventure hub as Indian Institute of Skiing and Mountaineering is located here. A lot of courses on trekking, mountaineering, skiing, etc. are offered by IISM at great prices here. Pahalgam ("Valley of Shepherds) is a popular destination for trekking and adventure tourism. Pahalgam is a feast to the eyes and senses. Submerged in lush greenery and alluring Himalayan ranges, it calls for some moments of re-quiescence at nature's own home. 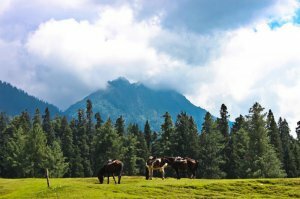 You will be wonder struck by the sumptuousness of Pahalgam the moment you arrive at this pristine land. Little houses, green fields and farms, the valleys are green and very beautiful. You can go on fishing trips or trek on one of the plenty mountains that cover this place. The 18 hole golf course is set among the snow-capped surroundings of Pahalgam and can make a really worthy experience to remember for long time. Sonamarg ("Meadow of Gold") is famous for its Thajiwas Glacier. What's remarkable about this glacier is how accessible it is. From the highway, you can hike up to the glacier and back in around five hours. Sonamarg is a picturesque town located in Kashmir valley at an elevation of around 2800 km from sea level. Bounded by natural beauty, breathtaking glaciers and serene lakes the place is a popular tourist attraction of Jammu and Kashmir. 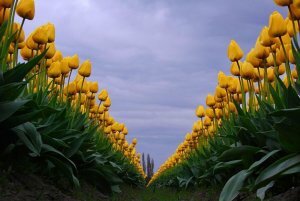 Nilagrad, a colony of the Baltics, is a picturesque location that one can always visit. Sonamarg is the home of many beautiful and serene lakes. Various mountain lakes such as Gangabal, Vishansar, Gadsar, Satsar and Kishansar are situated in and around Sonamarg.Self Improvement from SelfGrowth.com- - SelfGrowth.com is the most complete guide to information about Self Improvement on the Internet.